Each package contains 120 snap swivels! The Behr Snap Swivels are top quality swivels with a very strong snap that allows you to quickly change lures, lead or rigs. 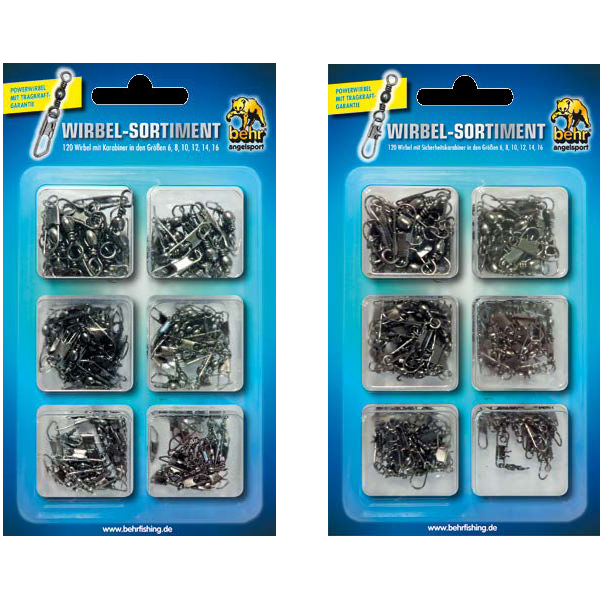 These snap swivels come in a 120-pack and contain all 6 sizes (20 pcs of each size).